Despite the fact that Injustice 2 only actually came out on PC about three months ago, a legendary edition of the game has already been announced. 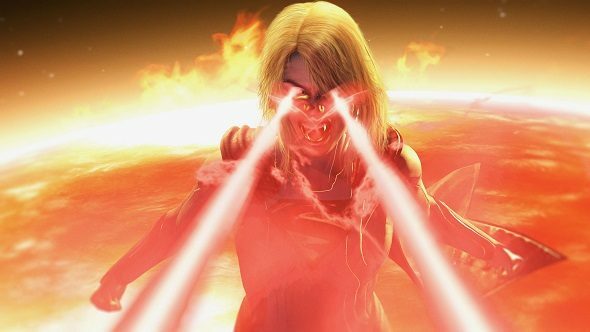 Injustice 2 – Legendary Edition is coming out on March 27, and includes all of the DLC characters (that means, yes, it includes the Teenage Mutant Ninja Turtles), five Premiere Skins, and a bunch of other goodies, just four months after launch. Hey, you, yeah, you. Did you hear, Overwatch’s next hero just got announced – it’s Brigitte Lindholm! There’s no price given for the Legendary edition of the game, although given the Ultimate edition already exists (and includes those DLC characters too) for £69.99/$79.99/€79.99, it’s likely to be a similar price. We’ve edition far too many times already, so that’s pretty much it. It’s going to be available through Steam and the Microsoft Store, and is available at the end of March. Unfortunately, the press release said it’s available from March 30, but the official Twitter says March 27, so, uh, I guess look out for it near to then?